Robbie Weinhardt is a former professional baseball pitcher for the Sugar Land Skeeters as well as a former MLB pitcher for the Detroit Tigers. He made his debut for the Tigers in 2010 after being drafted in the 10th round in 2008. The Pearland native was originally drafted in the 38th round by the Houston Astros in 2007. Weinhardt pitched in 30 games for the Tigers in 2010 and 2011, earning a 2-2 overall record. 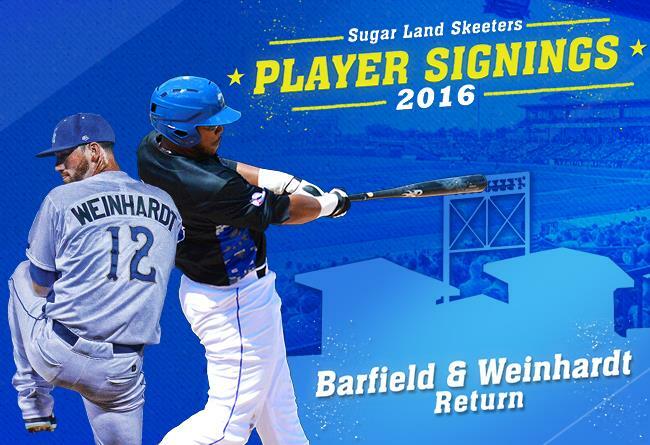 After reaching the big leagues, Weinhardt pitched in two seasons for the Sugar Land Skeeters. In 2016, he helped the team win its first Atlantic League Championship in franchise history. Weinhardt is currently a member of the Skeeters front office staff as a sales manager.